The Society of British and International Design is the standard-bearer organisation of the profession of interior design in Britain and abroad, representing members in practice, education and industry. SBID supports the profession locally, nationally and internationally and is part of a global network of 50,000 designers who are professionally accredited. SBID is the British organisation selected by the 16 nation members of the European Council of Interior Architects and the NCIDQ in the USA and Canada to represent their professional accreditation standards in Britain. KLC is a established design school with an international reputation for providing career focused education with a rounded practical approach. The school is uniquely located in the heart of the interior design industry at Design Centre Chelsea Harbour - ideally situated to allow students to absorb many wonderful heritage and cutting edge buildings, interiors, gardens and museums. Emphasis is placed on creating a professional, friendly and inclusive environment with a focus on individual development to help students achieve their full, creative potential and derive maximum benefit and enjoyment from their studies. Tutors ensure from the start of a course that students have a real sense of belonging, are well orientated to the surrounding area, and form friendships through social gatherings so they can fully engage with the learning process. Extensive academic, welfare and careers support is provided for students. The school benefits from the broad range of industry links built up over the years which includes a prestigious Advisory Board and also works closely with the KLC Alumni Association. 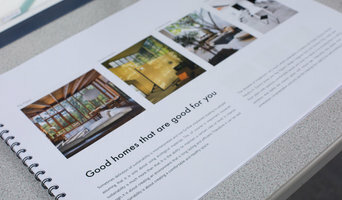 In recognition of the value of design and the ability of designers to improve the quality of people’s lives at home, work or leisure, wherever possible, validated courses include the opportunity for students to work on at least one community project. The school offers a wide range of accessible and flexible study methods. It is known for providing a high quality learning and teaching experience via both on site and online learning and has become a leading exponent of online delivery in recent years. Our Higher Education Diploma, Foundation Degree and BA (Hons) courses are validated by the University of Brighton. The Royal Institute of British Architects (RIBA) champions better buildings, communities and the environment through architecture and our members. We provide the standards, training, support and recognition that put our members - in the UK and overseas - at the peak of their profession. This website is neither owned nor controlled by the RIBA and the use of the RIBA’s name, logo and trade marks is under licence from the RIBA. The RIBA does not accept any responsibility or liability for the content of this website and its resources and your access and use of such services and content is at your own risk. The RIBA only promotes RIBA accredited Chartered Practices who comply with strict criteria covering insurance, health and safety and quality management systems. To find a Chartered Practice that is right for your project, please visit our Find an Architect service at architecture.com (see Website icon link above). The Passivhaus Trust is an independent, non-profit organisation that provides leadership in the UK for the adoption of the Passivhaus standard and methodology. 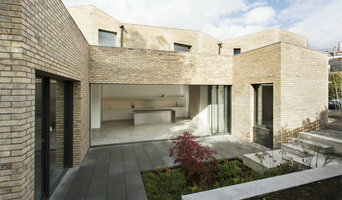 Passivhaus is the leading international low energy, design standard. Over 65,000 buildings have been designed, built and tested to this standard worldwide. The Trust aims to promote the principles of Passivhaus as a highly effective way of reducing energy use and carbon emissions from buildings in the UK, as well as providing high standards of comfort and building health. The Home Staging Association UK is the Home Staging professionals' organisation in the United Kingdom, representing active certified members, training and the industry. The HSAUK provides support and information to all professionals in the Home Staging industry, contributing for the active growth and recognition. 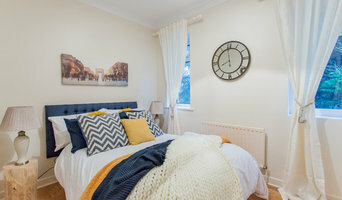 You can register with us as a professional, or turn to us to find your Home Staging Professional: www.homestaging.org.uk Staged homes sell faster. Register as a member or find your home staging professional. The Kitchen Education Trust (TKET) is a registered charity that provides a link between the kitchen industry and higher education. TKET acts as an intermediary for the kitchen sector in the award of scholarships to successful applicants to attend the Foundation Degree in Kitchen Design at Buckinghamshire New University. The Chartered Institute of Architectural Technologists (CIAT) is the lead qualifying body for Architectural Technology and represents those practising and studying within the discipline. CIAT qualifies Chartered Architectural Technologists, MCIAT, and professionally qualified Architectural Technicians, TCIAT. Ravensbourne is a world-class university sector institution located next to the O2 in London. Our ambition is to shape the creative leaders of the future, promoting in them an instinct for innovation that is cultivated from collaborative creativity. We are the only independent higher education institution with a longstanding specialism in design, media, communication and technology. You won’t find a better established or more renowned Interior and Garden design school than Inchbald. For over 55 years Inchbald has nurtured the individual talents of their students and set them firmly on the path to success. Many of the most respected names in interior and garden design started their careers at Inchbald. We offer a variety of ways to study; from full time Master of Arts programmes to short introductory courses which can be completed online or in-house. The British Institute of Kitchen, Bedroom & Bathroom Installation (or BiKBBI as we’re better known), is the UK’s first and only government sanctioned and not-for-profit registered organisation dedicated to the kitchen, bedroom and bathroom installation sector. With over 4,600 installation specialists registered nationally, BiKBBI represents the largest network of independently accredited installation specialists in Great Britain. The organisation is responsible for Education, including CPD and Apprenticeships, Standards and the support of key stakeholders including consumers seeking the services of professional installers. Fire Risk Assessments Across the Whole of the UK. Recommended & Approved Fire Risk Assessors. Accredited & Qualified Fire Safety Company. Free Quotes. *Free quotations *Experienced, recommended & approved fire risk assessors *Accredited & qualified fire safety company *Single or multi-site fire risk assessments *Any type of building *Stay compliant with the fire safety law We are an experienced team in the fire safety and health and safety compliance industry and have organised many fire safety projects. We have build a reputation for ourselves through both our customer service and the standards of our fire risk assessment. Our fire risk assessors are knowledgeable and committed to fully following any and all fire safety law standards. We have built positive relationships with the best fire safety consultants while working on single and multi-site projects nationwide. Request a free quote with your requirements today. We look forward to hearing from you. We provide full academically accredited training courses entirely online and we specialise in design. 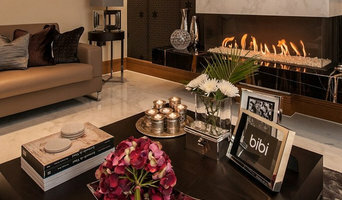 Our main areas are Interior Design, Landscape & Garden Design and Fashion Styling but we also have others. Our focus is on providing high quality online training to adult learners and our students achieve fantastic results. What do Grange Hill, Essex schools, professional organisations and associations do? For professionals themselves, these Grange Hill, Essex interior design associations and architecture associations are crucial for continuous learning and advancement in their fields. For example, architects can take RIBA CPD (Continuing Professional Development) courses to make sure they are fully aware and trained in new architectural developments and qualifications. Why would I want to contact a Grange Hill, Essex design school or organisation? 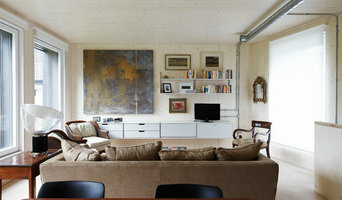 Find a design school or organisation on Houzz. Narrow your search in the Professionals section of the website to Grange Hill, Essex architecture associations, interior design courses, schools and organisations.